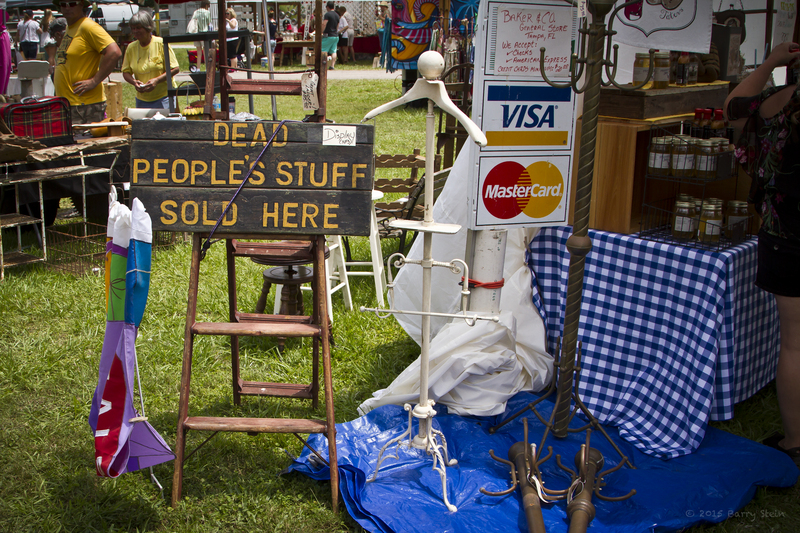 What is it about Dead People’s stuff that draws such a crowd? It’s falling apart, the paint is peeling, the wheels are worn, the knobs are rusted, and the lot of it probably brings back a ton of sad memories to those who actually owned it. To us however, they are hard to find vintage discoveries and happy reminders of our own past. Yesterday I squeezed my thin sock covered big fat hobbit feet into too tight running shoes and forced myself out into the heat so I could walk and press the button. Once I got there and started to mingle among the hoarders displaying their worn and valuable memories…I could feel no pain. The air was filled with the pungent mold from musty basements, hot wood from ancient baked attics, classic atomizer perfumes and the waft of food vendor smoke from grilled sausages and onions. I didn’t get too close to much of it as I was more interested in walking, watching and capturing… but it made me wonder what vintage flea markets of the future would hold. Would there be tables filled with worthless Apple Watches and IPhones? Would remote controls be served up by the crate load? 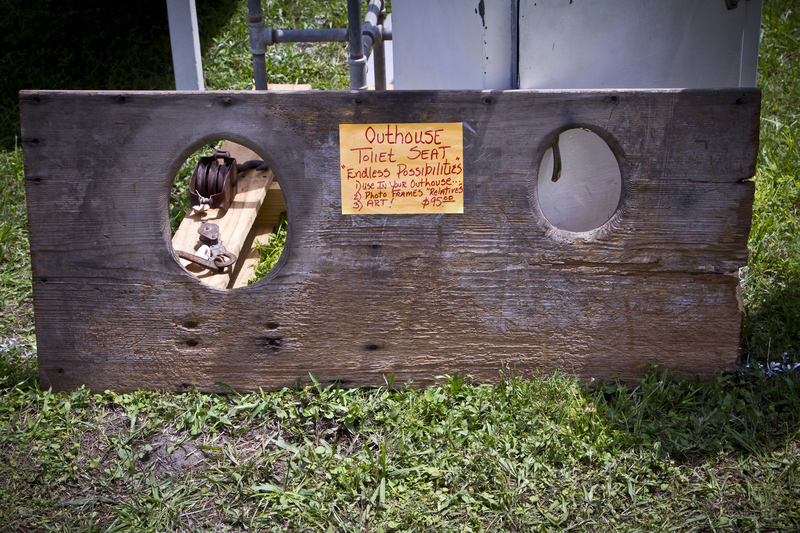 Would lap tops be shoved on end in book cases by the hundreds and sold for a dollar a piece? 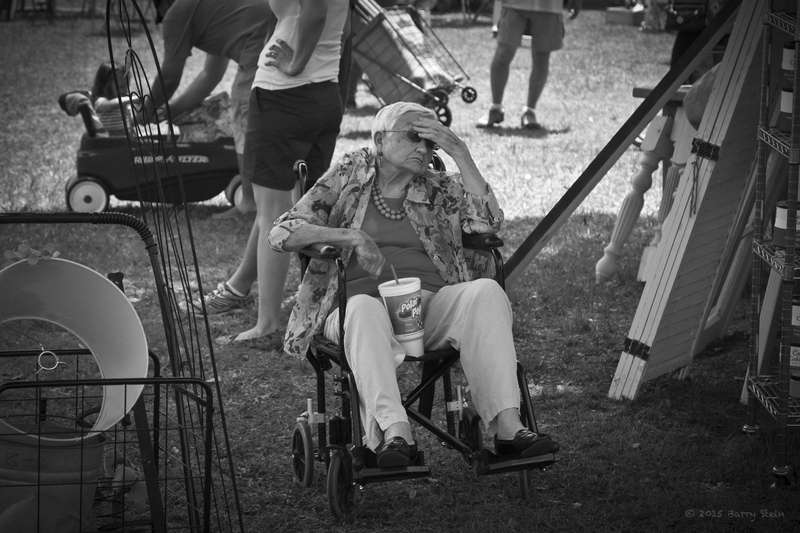 Or would any future event like this carry the same food vendors, the same line of folks waiting to go to the bathroom and the same senior in a wheel chair wondering when it will be time to go home? I walked, I shot, I sweat and grabbed a few glimpses. I once heard this great quote, “One man’s floor is another man’s ceiling”. I’m sure you know the more familiar, one man’s junk is another man’s treasure. Sometimes I think about the perception of value and how it changes with time, style, fashion and with each individual. How bout this one, “One man’s end, is another man’s beginning”. 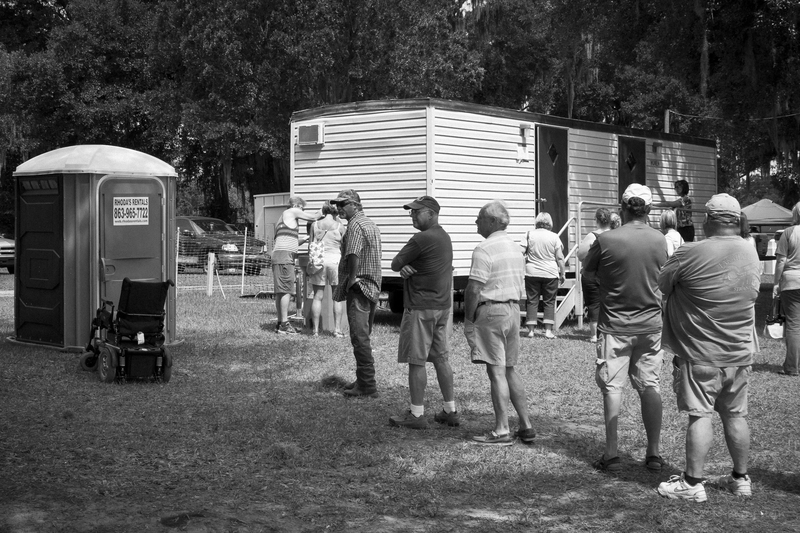 How far have we actually come, from the line to the outhouse, to the line to the porto-potty… or in this case “Rhonda’s Rentals”? In the future, what will going to the bathroom look like? I envision something not to distant from the common day car wash, only instead of the car that goes through the brushless vertical blinds and high pressure hoses washing your tires, those bowel loaded folks would sit in a conveyor belt chair that’s open on the bottom, they’d have some privacy, leave their waste and then get hosed off and dried… for a fee of course. Then I saw these doors and had to shoot them. No function or purpose… just beautiful peeling of paint. It looked like feathers to me and the randomness of the wear was appealing. 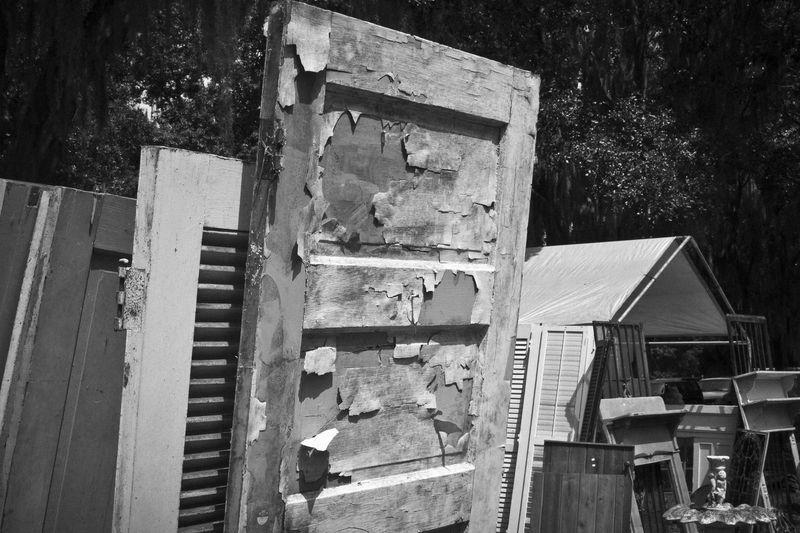 In its time, the door might have served an important function like protecting a family from a treacherous outside world, but now it just leans with its skin molting, waiting for its next use. Perhaps it will be up-cycled as someone’s headboard, desktop or drop ceiling? 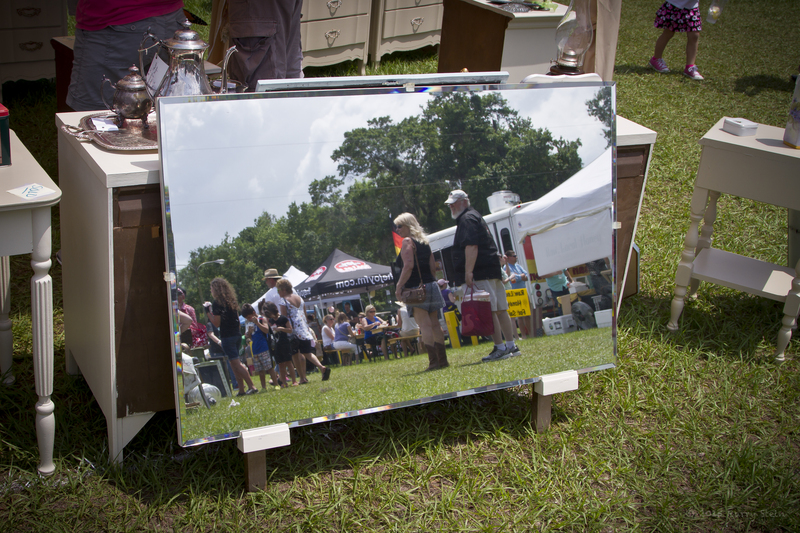 One fun thing I did on my hike through other people’s past, was notice how old mirrors leaned on the ground, created the canvas for reflected flea market patrons. I did think about how mirrors we used in times long ago and wondered how they would change in the future. I’m guessing that technology will solve the problem how we see ourselves electronically. I think however that self-image is a huge opportunity to personalize in the future. Maybe see how you look to others, see how you would have looked in the past, see how you could look in the future… and choose how you want to be seen and learn with videos at the same time… how to look that way! Or maybe there will be coaching videos to just love the way you look without any changes. 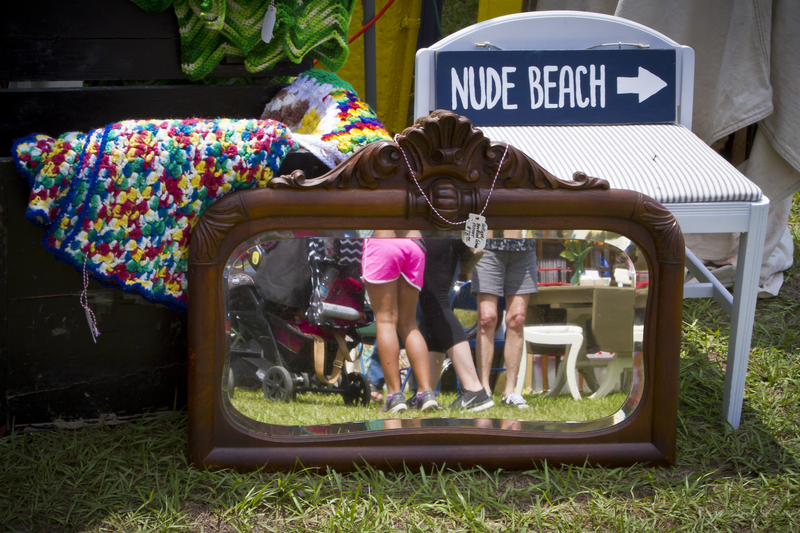 Passed one shabby chic booth after another… I came upon a man who displayed boxes of things. My favorite was his box of casters. I did wonder for a moment where all these wheels came from, what they were attached to and what they rolled on. But mostly, I was just grateful for the pattern image and the delicious rust. I’m also thinking that as long there is gravity, there will be need for things to roll rather than be lifted. 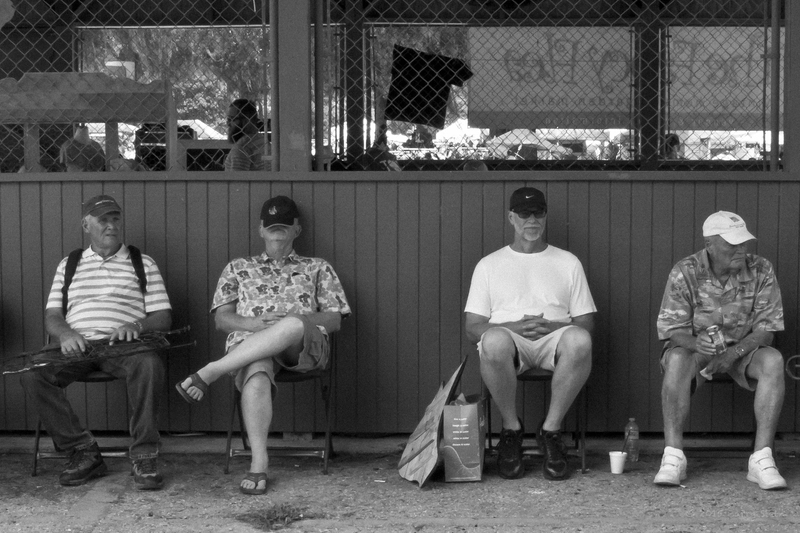 Another event that I believe has always existed in the past and will always exist in the future, is the waiting on a woman… the line of men in baseball caps waiting for their partners doing the walking and shopping. I do expect that in the future there will be more productive uses of waiting time… though a quick snooze is always appealing regardless what year it is. 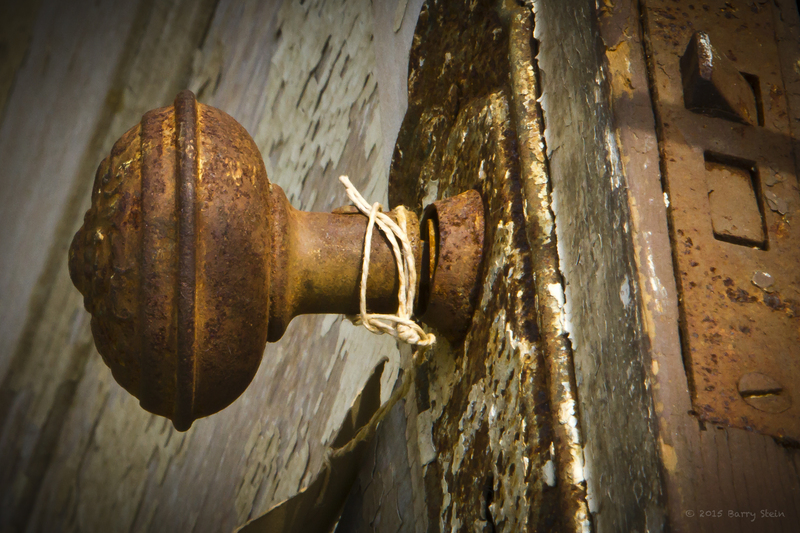 Now I’ll admit, I’ve always had an interest in door knobs… especially those beautiful ceramic ones. I do kind of feel bad that the beauty of an everyday handled thing has disintegrated into a function of purpose, cost and how it will be manufactured. What will become of how things feel and what things mean? Will those become luxuries only available to the most wealthy or will we as a society fight to raise the priority of craftsmanship in our everyday life. Sometimes I think this is why these flea markets serving up the ancient will always survive, because we value the beauty that existed during a time before profit became such an overwhelming and competing factor. To me the design criteria is both. How do we make it timeless, beautiful and profitable. And then there’s a whole other perception of such a glorious celebration of the past. Maybe one who has lived through it all and seen the new turn old has no appetite for those possessions anymore. To them what’s old is just older. To them perhaps the beauty is gone and life is just a waiting game. 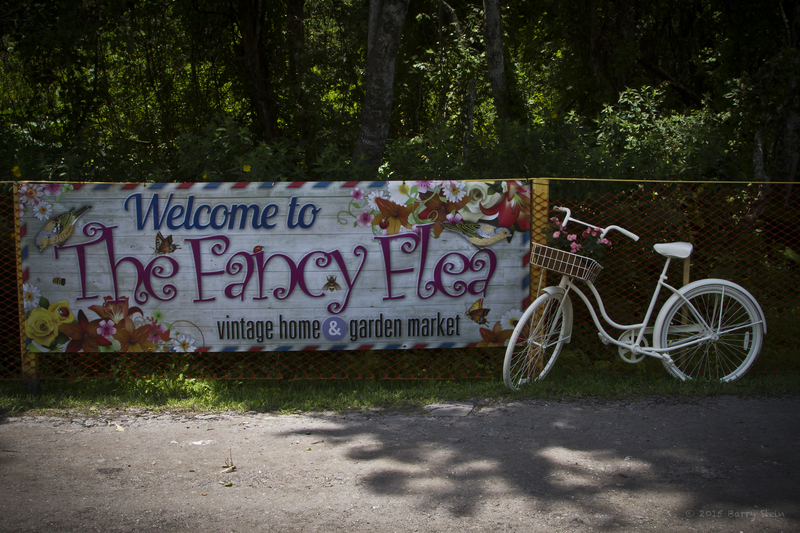 No one would know, as I walked the Fancy Flea, how tight my shoes were… and none of us can know what it’s like to be in someone else’s shoes. To me I hunger for the latest thing. I carry the value of the old things when they were the latest thing. And when my paint peels and my knobs rust, I want to be relevant to that future and what’s happening in it, and be willing to apply my old to someone else’s new. Our past, though sometimes sad and painful, will find new value in someone else’s future. What they find in it, what they make of it will be a gift hard to fathom and a present full of delight and discovery.